The government, which is highly dependent on coal for power generation, will be facing challenges from consumers as more and more people are shifting to clean energy, an energy expert says. Fabby Tumiwa, the executive director of local energy think tank the Institute for Essential Service Reform (IESR), made the statement after the institute published a report titled “Indonesia’s Coal Dynamics: Toward a Just Energy Transition” recently. In its report, the IESR concludes that two types of renewable energy will be cheaper than coal-generated electricity by 2030 and wind power will be on par with coal by 2050. “For example, the price of solar photovoltaic [PV] electricity in 2030 will stand at 4.69 US cents per kilowatt hours [kWh], while the price of coal will stand at 5.15 to 5.25 US cents per kWh,” he said. PLN’s latest 10-year electricity plan, which is called the electricity procurement plan (RUPTL), for the 2019 to 2028 period states that projected electricity consumption growth this year will stand at 6.4 percent, which is 0.46 percent lower than its previous plan. Even though the procurement plan has been revised, it is still being seen as “too ambitious”, because a calculation from a global energy think tank, the Institute for Energy Economics and Financial Analysis (IEEFA), recorded that the average demand growth in the last five years (2013 to 2018) stood at only 4.6 percent. Aside from losing customers, Fabby said, PLN also faced another problem related to its coal-fired power plants (PLTU) — assets that could not be operated optimally due to an electricity oversupply. “In Indonesia, we calculated that in 10 years from now there will be an overcapacity of 13.3 gigawatts (GW) on the Java-Bali power grid with the total investment standing at US$12.7 billion,” he said, referring to a recent study by the IESR, Monash University Malaysia Campus and German energy think tank Agora Energiewende. In its latest plan, PLN is also still heavily reliant on coal as the projection share in its electricity energy mix in 2025 will stand at 54.6 percent or 0.2 percent higher than the previous plan, while renewable energy remains at 23 percent. It is contrary to the global movement to phase out coal, especially in Europe and even some Asian giants like China and India, which have slashed their coal consumption, including in the electricity sector. “This is a [downward] trend [of phasing out coal power plants] that should have been anticipated by our government, especially in line with the agreement to cut greenhouse gas emissions to below 2 percent,” he said, adding that to reach that climate goal, Indonesia had to stop building new PLTUs starting next year. A recent report from the International Energy Agency (IEA) stated that global coal demand will only increase slightly from this year until 2023, with China’s coal demand to decrease 2.8 percent from 2.7 billion tons to 2.6 billion tons in 2023 due to air pollution concerns. China was Indonesia’s biggest coal export market with an annual output of around 110 to 120 million tons or around a 25 percent share of Indonesia’s export market, according to the Indonesian Coal Mining Association (APBI). Meanwhile, India — Indonesia’s second biggest market — is predicted to cut coal imports from Indonesia due to higher domestic coal production because the IEA predicted that India’s coal import volume would be down 13.4 percent from total consumption in 2022 and 2023. Therefore, the IEA predicted that coal exports from Indonesia would decrease 15.7 percent by 2023. It is well-known that 80 percent of Indonesia’s coal production is for the export market. The APBI’s executive director, Hendra Sinadia, said the possibilities to expand coal exports, especially to Asian countries, were still wide open as some of the markets were only beginning to operate their PLTUs, which could last 25 to 30 years. “Vietnam is currently developing massive PLTUs, of which 100 percent of the coal is from us. So, the government should have a perspective on the political side before taking any decision on cutting coal exports,” he said. Hendra is criticizing one of the plans to cut coal exports gradually in the General Planning for National Energy (RUEN), which stipulates that Indonesia is committed to stopping coal exports no later than 2046. The Energy and Mineral Resources Ministry’s mineral business supervision director, Muhammad Wafid, confirmed the coal export-termination plan by 2046, saying the government had been pushing since 2009 for an increase in domestic coal consumption. 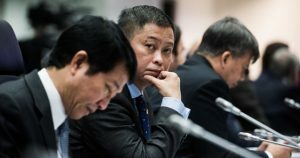 “We still absorb coal for the electricity sector, but we are also pushing for a diversification program for coal, such as transforming it into gas as a substitute for liquefied petroleum gas [LPG],” he said, referring to a type of fuel called dimethyl ether. 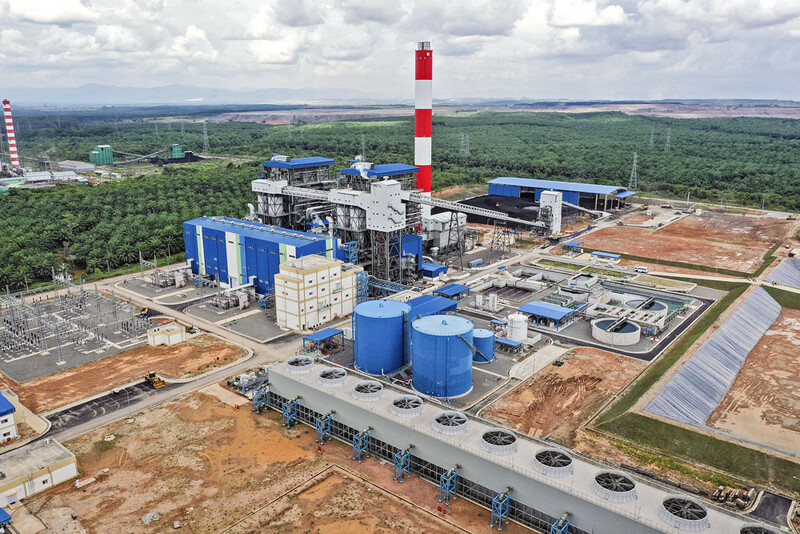 The program was started last year by state coal miner PT Bukit Asam and state energy holding company Pertamina, which inked a partnership deal with United States-based chemical firm Air Products and Chemicals Inc. for coal gasification.